League of Legends Patch 9.7: Are the nerfs to Kayle and Urgot enough? They’re getting the wind taken out of them. A series of nerfs are coming to League of Legends Patch 9.7, and the pair of Kayle and Urgot are taking the brunt of the damage. After receiving extensive buffs, the two champions dramatically shot up the power rankings. Kayle went from 49.67 percent winrate in Patch 9.4 to 55.39 percent in Patch 9.6. And Urgot jumped from 44.44 percent to 55.44. 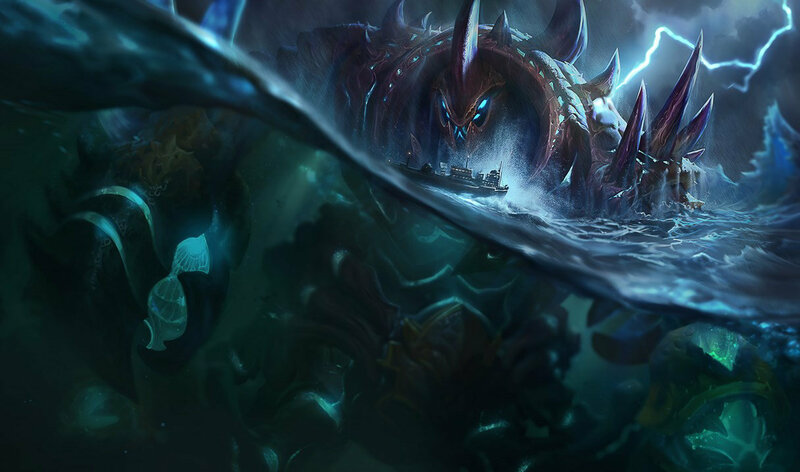 As an attempt to strike balance, Riot has targeted the champion’s numbers. Kayle transformed into a scaling ultra-carry after her rework. She now evolves as the game progresses, ramping up slowly, before ascending into a Super Saiyan-esque state at level 11. To counteract her intense scaling, she was intended to be vulnerable in the early stages of the game. She was expected to be man-handled in lane and forced to desperately cower behind her tower. But that isn’t the case. She’s not lane dominant, but she has the means to survive, and easily avoid ganking pressure. This means she’s essentially too strong for her own good. Once she hits her win conditions, it’s too late. She has the tools to take hold of the game and snowball out of control. In Patch 9.7, Kayle is getting taken down a notch. Riot is nerfing her armor growth, her health regen, her movement speed on Celestial Blessing (W,) and her damage on Starfire Spellblade (E). They’re small nerfs on paper, but they add up. When playing Kayle, you’ll start to feel a lot more pressure. It won’t be easy riding for you anymore. Your movement will prevent you from chasing down targets with confidence. You’ll have to play smart and learn not to overextend. As well as your movement speed, your damage will feel noticeably weaker. You’ll still be a strong carry in the late game, but you’ll have to rely more on items, rather than scaling. This means it will take you longer to ramp up and you’ll not be as much of a dominant force at level 11. As for Urgot—or Urgod—he’s receiving nerfs across the board. He descended into obscurity for two straight patches, but after his buffs in 9.6, he came back into the spotlight. He’s not the strongest top lane champion, but his incredible jump in the standings is cause for concern. Riot is pulling back on the some of Urgot’s buffs in Patch 9.6. His passive damage is getting reduced, his cooldown and mana cost on Disdain (E) increased, and his damage on Fear Beyond Death (R) decreased. The new changes should position Urgot in more of a balanced state. They’re not groundbreaking nerfs, but they’re enough to set him straight. Due to the increased cooldown on Disdain, you’ll no longer be able to harass so easily in the laning phase. You’ll have to play with calculation and rely more on ganking intervention. In the late game, your ultimate won’t hit as hard and your passive damage will be significantly reduced. This means you won’t be so much of a bully, but you’ll still be a strong and damage-oriented force. Your ultimate will have the means to carry a game and you’ll very much be relevant. You just won’t be as much of a prevalent threat. Overall, the changes to Kayle and Urgot are a step in the right direction. In the case of Kayle, she should still be a competitive champion and be a threat in the late game. The changes to her kit should be enough, though, to put her at a more balanced standpoint. She won’t be such a dominant force and her key weaknesses will force her to play with caution. Urgot is in a similar situation. The nerfs to his kit aren’t so severe as to make him irrelevant. He’s been fine-tuned more than anything. He should still have his place in the metagame, and his niche in the top lane will see him thrive in certain situations. He just won’t be as overwhelming and as difficult to counter.